Joseph Bennie Armour age 86 of Alto, passed away on Friday, October 26, 2018. Born in Lumpkin County, Georgia, he was a son of the late Leco and Polly Waters Armour. Mr. Armour was the owner and operator of Armour’s Paving and in his spare time enjoyed fishing and traveling. He was of the Holiness faith. In addition to his parents, he was preceded in death by his first wife, Beulah Lightsey Armour; stepson, Ronnie DuBois; grandchild, Rebecca Armour; brothers, Perry Armour and Taft Armour; sister, Genevia Wade. Surviving are his wife, Rose Crump Armour; daughter, Luania Rumph; son, Ted Armour; stepdaughters, Cindy Ferguson and Elizabeth Crane; stepsons, Nathaniel DuBois, John DuBois, Casey Keller, Dennis Keller and Wayne Keller; brothers, Ralph Armour, L.J. Armour; sisters, Imogene Wade, Doris Jones, Joydean Martin, Linda Ferguson and Patsy Armour; grandchildren, Ronnie Tyler, Matthew Tyler, Veronica Horton, Jody Armour; 6 great grandchildren; 4 great-great grandchildren; numerous step grandchildren and step great grandchildren; also nieces, nephews, other relatives and friends. A Celebration of Bennie’s Life will be held 2 pm Monday, October 29, 2018, from the Chapel of McGahee-Griffin & Stewart. Interment will follow in Level Grove Cemetery. The family will receive friends at the funeral home from 4-8 pm on Sunday. 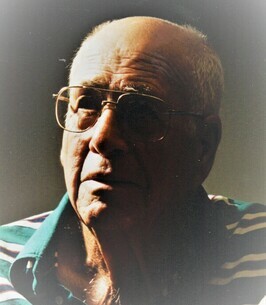 To plant a tree in memory of Joseph Bennie Armour, please visit our Heartfelt Sympathies Store. We encourage you to share any memorable photos or stories about Joseph Bennie. All tributes placed on and purchased through this memorial website will remain on in perpetuity for future generations. I'm sorry to hear of Bennies passing. I just found it in the paper and am too late to say good bye. May the lord meet him at the gate and hold him dear to himself and give him the reward of being in the presence of God. BYE BENNIE and may your family see the peace and love of the Lord. My thoughts and prayers are with being sent with love to the family. Our thoughts and prayers are with you family. We loved Bennie since we met him 14 years ago. He was a special man and we will miss him! Worked with Bennie for 20 yrs. Good friend. He was like family. Our daughter, who's now 31, still refers to him as the peanut man because he'd always bring her boiled peanuts every chance he got. He will be missed.